A woman was airlifted from a Snowdonia mountain after suffering a serious injury to her finger. Rescuers examining her realised she risked losing the finger and requested a helicopter to fly her from Cadair Idris. 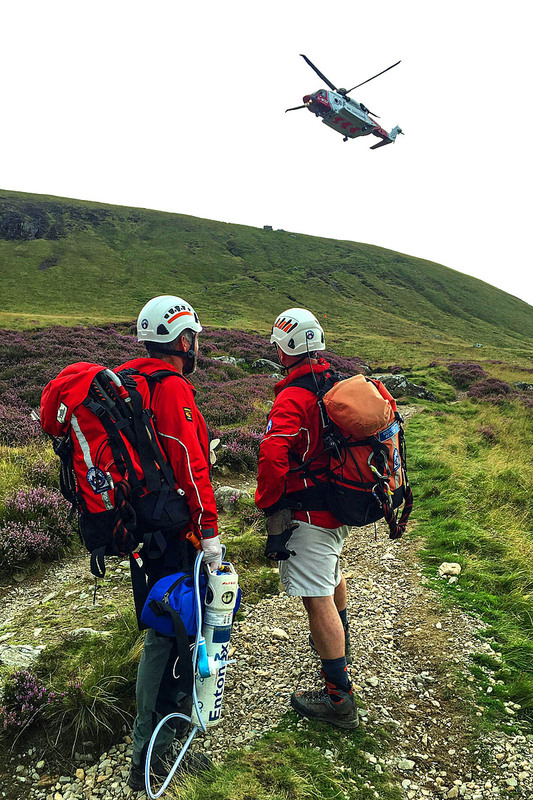 Aberdyfi Search and Rescue Team was called out about 2pm on Tuesday to the incident. The 54-year-old woman from Surrey had slipped and sustained an open fracture of her left forefinger. Team member Graham O’Hanlon said: “Passers-by controlled bleeding and bandaged the wound, and then helped the lady walk down the Pony Path where they were met by a party of team volunteers. “The casualty appeared drowsy and unwell, and following further assessment of the injury, the finger was found to have lost some or all circulation beyond the break, a situation that could lead to the permanent loss of finger tissue. The Caernarfon-based aircraft flew the woman to Ysbyty Gwynedd in Bangor for further assessment and treatment. The rescue ended at 5pm.